Food is ready, and tables are set. Get ready for a niight you’ll never forget! 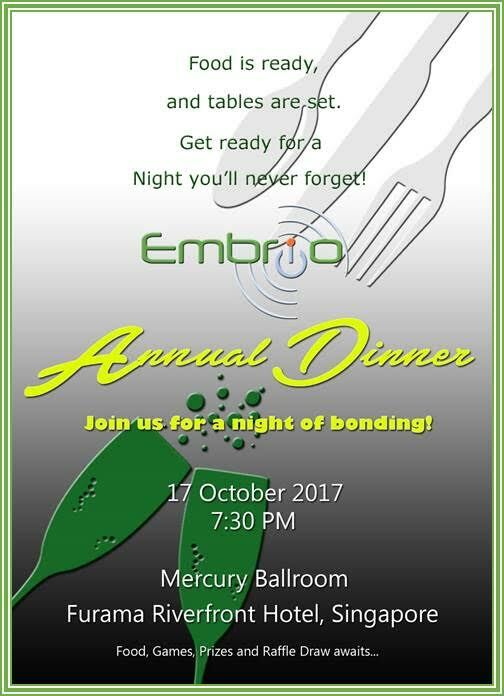 Embrio Annual Dinner – Join us for a night of bonding! 17 October 2017, 7:30 PM @ the Mercury Ballroom of Furama Riverfront Hotel. Food, Games, Prizes and Raffle draw awaits!